I ran a session of Strange Tales the other night, to test out the Treasures of the Starlit Inkstone adventure. In this adventure the players are Anomaly Inspectors investigating islands in a mountain lake filled with monsters. They happened upon an island with a Buddhist monastery, where the monks all seemed strangely thin and had fingers that ended in metallic claws. They discovered the monks we using their fingernails to take peoples flesh as a medium for their sutras. The players went into the monastery and found a tome called The Lotus Flesh Sutra, which claimed enlightenment could be attained by the flesh of the Buddha. One of the players had a magic vestment that turned him into a tiger, which he used to create a distraction as the other players attacked the monks. In the end some monks fled, but they succeeded in killing most of them (but not before having section of their own flesh peeled off in the battle). In a library they found a desiccated corpse. When one of the players approached the orpse its skin wrapped around his body and began to fuse with it. They were able to fend it off before the transformation was complete. But the player character sensed his mind opening as the flesh bound to his body. They decided to write a warning to all who entered "Beware: Flesh Eating, Mind Opening, Monster in the library. They returned to their village, where one of the characters, San, learned that her mother was ill from a snake bite. After an investigation, it came to light that a lady by the name of Xi Yen was to blame. Her mother had the woman branded some time ago for poisoning several women in the village. This was her revenge. She also learned that Xi Yen, was the sister of their boat pilot, Xi Gao. Plying him with wine, San learned where his sister resided and more about her personality. Investigating Xi Yen's house they found a tunnel that led to an empty snake pit. But inside the floorboards was a corpse stuffed with a curse that made intruders targets for her snakes. One of the player characters was a snake charmer, so he used his knowledge to track her down (and to give an antidote to San's mother). They came eventually to a snake pit filled with hundreds of cobras. Inside the pit, Xi Yen was seated and waiting. They set fire to the snake pit after confronting Xi Yen (who explained that she did the killings because she was angry that no one in the village would marry her). San tried to reason with her, but in the end they decided she couldn't be redeemed. After the adventure the player characters went on to get nice posts in the imperial capital for all of their efforts. This is where the session ended. It was the last in a 10 session campaign. By the way, if you haven't checked out our latest release, House of Paper Shadows, take a look. It is a great wuxia horror adventure, perfect for Halloween. You can find the PDF HERE or purchase the print version at stores and online (go HERE if you have trouble finding it). We talked about the 2011 remake of A Chinese Ghost at Wuxia Weekend. It is directed by Wilson Yip and stars Liu Yifei, Louis Koo and Kara Hui. 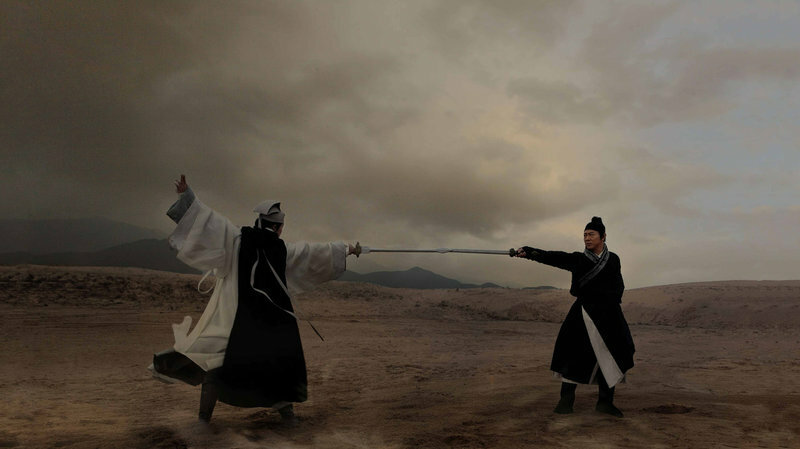 It is a new take on both the classic film and the original source material (Nie Xiaoqian by Pu Songling). 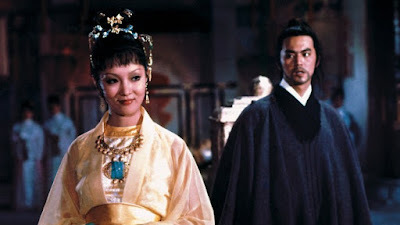 This is Kara Hui Month at Wuxia Weekend so we discuss it with that in mind. It is an entertaining film that isn't as great as the 1987 A Chinese Ghost story. In this version, a love triangle is introduced between the Demon Hunter, the scholar and Nie Xiaoqian/Siu Sin. 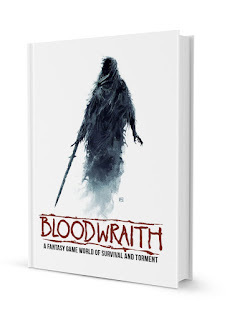 Tomorrow I will be interviewing Jim Pinto of Post World Games about his new Kickstarter Bloodwraith: A Fantasy World of Survival and Torment. This is an OSR release set in a world where the gods are dead and extinction threatens humanity. The interview will be posted at the Bedrock Podcast (HERE). This month on Wuxia Weekend, we celebrate the films of Kara Hui. Sadly we only have four Fridays, which means only four movies to select from. And the challenge is greater because we've already discussed so many of her greats. My Young Auntie is an outstanding film that we already covered last year, for example. I am going to post links below to all of our other Kara Hui related discussions and reviews. Some of these are just late night reviews I did on my own, so we will probably discuss one or two of those again on the podcast this month. Kara Hui is versatile, bringing great acting and great martial arts together in her performances. 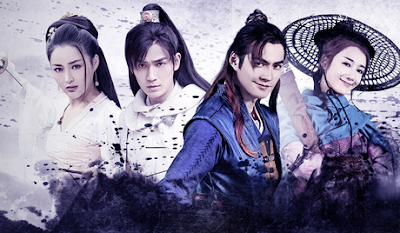 She is one of the few performers that gets consistent praise from all four co-hosts at Wuxia Weekend (and we are hardly alone as she is widely respected and venerated for her talents). She is also still very relevant, regularly appearing in new films like Mrs. K, Happiness and Daughter. 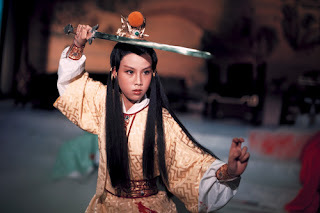 Her action scene with Donnie Yen in Dragon (2011; AKA Wu Xia) is one of the most memorable martial arts moments in my opinion. And she can carry a movie, elevating the quality of any film she appears in. Here are some of our earlier reviews and discussions. Here is a new trailer for House of Paper Shadows. It is available HERE in PDF and will be available in October in print. 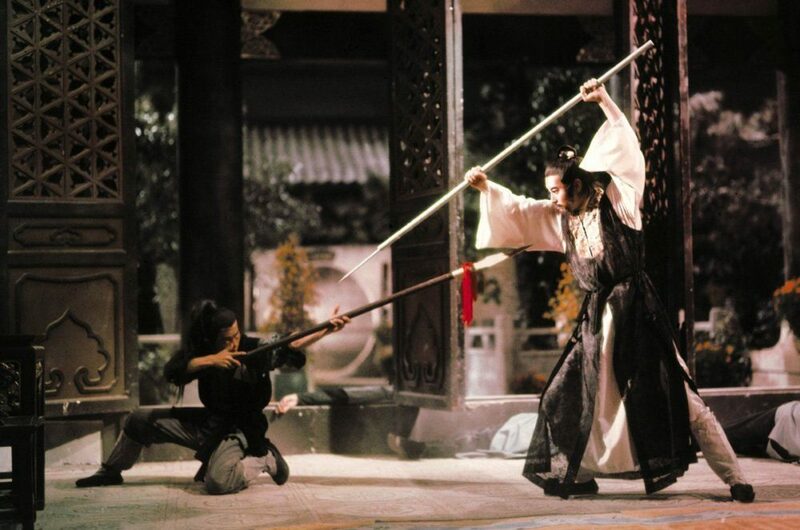 It is a wuxia dungeon with a strong dose of horror. The adventure is set inside the headquarters of a creepy spy network that masquerades as shadow play troupes and steamed bun vendors across the land. Who they truly work for is unclear, who commands them, even more mysterious. Players explore the house at their peril, but the GM can set the difficulty by selecting from different hooks. So it is designed to be lethal while also allowing for safer ventures inside. Inspired by movies like Bloody Parrot, Human Lanterns, and House of Traps, it is a blend of martial arts and the supernatural. This is the 4th anniversary of the the death of William Butler, the other half of Bedrock Games. He died September 3, 2014. A day or two before his death, he and I had been meeting to discuss our next book, an adventure based on his incredible Orcs of the North Campaign for Sertorius. We decided to take the first adventure he had run for that, and expand it into a large island sandbox. Since he died, I haven't been able to work on it. But I do want to share it with people. It is still very rough. I haven't changed a single line of text. The only changes I made were removing some of the formatting tags that made reading difficult. There are placeholder headers, missing sections of text, tables that are filled with gaps or just the base percentage chances for each entry, sections out of order or written out twice, and many other indicators of its unfinished state. Christopher Sigmund was kind enough to start work on a map for us, so I am including that as well. 2 years ago Jorum sends Janus to obtain information from the giant tribes, learns about the crowns said to once have been possessed by the islands rulers. 1 Year Ago Janus has made diplomatic strides with local giant villages but this is too slow for Jorum who wants the crown fast. He nearly wipes out the village of Sani to get the Tablets of Kla-Handa to learn where the crowns are. He gets the tablets but Janus is furious. 6 months ago Janus prepares to lead an expedition north to Jaree, but it is a trap set by Jorum, who is jealous and fed up with his brother. Jorum worries that Janus intends to take the crowns for himself and has his men kill Janus by spearing him from behind. The execution required 100 warriors, all of whom were sworn to secrecy. Offiicially Janus died in an ambush by Arbadu tribesmen. Three years ago King Malka, ruler of Atroxis, had a dream of powerful Slovar artifacts on an island to the west and sent the nephew of the Basi Chief, Jorum, on an expedition to find them. Jorum brought his Sertori Brother, Janus, and another minor chieftain, Abilom. Jorum came with 1,100 men and Abilom came with 800 men. Jorum also brought a scholar from the Verani tribe named Timos who had knowledge of the Slovars. On the Island Jorum built two outposts then sent his brother Janus with soldiers to learn what he could from the local tribes. Janus worked slowly but discovered legends of two powerful crowns. He also learned about The Tablets of Kla-Handa kept by the people of Sani. His sources claimed the Tablets reveal the location of the crowns. The brothers were different as night and day. Janus was a Sertori, confident that he could use magic and diplomacy to work with the giants. Jorum was aggressive and reckless, and he secretly burned with envy for his brothers powers. It occurred to Jorum that he could use the crowns to rule over Atroxis himself and this only intensified the tension between them. Janus continued working with the Sani to learn more about the Tablets but this was too slow for Jorum. To obtain the tablets, Jorum slaughtered Sani villagers when they resisted his demands, he then abducted their “Kla-Tarqa” or keeper of the tablets and forced him to translate. This infuriated Janus who had grown fond of the Sani. The brothers fought but finally Janus ceded to his brothers will and offered to take soldiers to Jaree to obtain the crowns. Jorum had grown suspicious of his brother and worried that he might be plotting to take the crowns for himself. He instructed his men to kill Janus on the way to Jaree. Though they attacked him from behind and by surprise, he was still able to defend himself, burning a quarter of them to death. However he overused his magic and became a Grim. The men misjudged his transformation and assumed he had died in the battle. The remaining men went to Jaree but never returned. Scouts brought back reports that some of them were seen roaming in an undead state. Jorum realized that he wouldn’t be able to enter Jaree and retrieve the crowns without Sertori so he asked Malka to send another with a shipment of supplies. However Jorum plans to either bribe the Sertori to give him the crowns or ambush the Sertori as he did his brother. In the months that followed the ambush a massive tropical forest bloomed on the coast of the island, beginning in the area where Janus had fallen. Soon after that Jorum and his men heard rumors of a new god of fire named Dura-Noor uniting some of the local Giant tribes. Jorum: Nephew Chief Abidan, head of the Basi tribe. Sent to Maelkalum by King Malka to find Slovar artifacts. Janus: Jorum’s brother. Became a Grim when his brother ambushed and betrayed him. While the player characters can completely ignore these if they wish, the Timeline offers the most likely course of future events barring intervention on the part of the players. The timeline starts when the players meet with Malka and proceeds from there. The GM should therefore track each day that passes. The events of the timeline are described in Chapter One (B): Major Events. Jorum’s long-term goal is to rule Atroxis but in the near term he simply wants the PCs to retrieve the two crowns from Jaree for him and he wants them to not create any difficulty for him on the island. He also needs to convince them to give him the crowns rather than bring it directly to Malka. He will use whatever tactics he needs to obtain the crowns from the player characters should they acquire them. Malka aspires to attack Caelum and believes the crowns will aid him in this effort. He also wants to keep an eye on the men like Jorum as well as the player characters themselves. He is sending his granddaughter, Gaia, as a reminder of his authority but also because he expects her to report back to him when she returns. Above all, he wants his granddaughter to be safe and expects the PCs to protect her. Those who bring him back his granddaughter rewarded. Those who bring him both his granddaughter and the crowns, will be richly rewarded. Those who fail to protect his granddaughter could face dire consequences depending on the circumstances of her death (and Malka is fair, he won’t blame the PCs for her death unless he has reason to believe it is a product of their recklnesses). 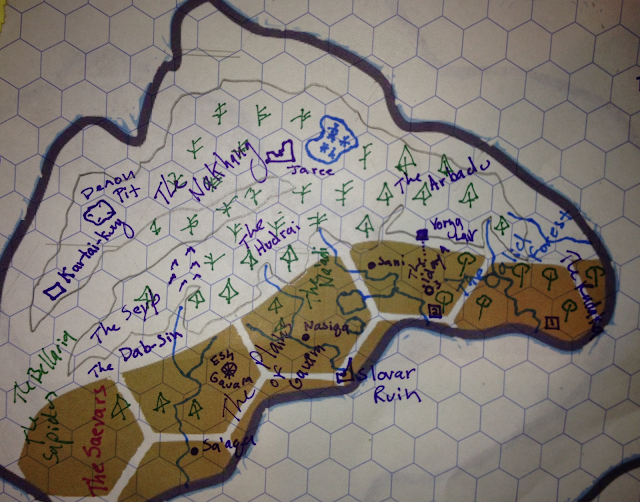 The PCs hear that King Malka has offered titles and land to any Sertori who will help him on an important expedition. King Malka makes a point of receiving the player characters in Neoda, in a grand hall. He has twenty guards and is assisted by a Sertori named Danihel. He asks the players to go to a newly explored island where they are to find two powerful artifacts: crowns from an ancient civilization. He tells them this is for the glory of Ozias and can offer them titles and land. King Malka says he wants the crowns but first the players are to take a shipment of special supplies to the outpost of Valcarna for Chief Jorum. These supplies Jorum requested two months ago. Malka does not tell the players what the shipment contains but if they investigate it contains 2,000 Amber Beads, 100 Iron Longswords, 20 Iron Hoks (spears sized for Ogres) and 20 Iron Dab Yai (swords sized for ogres). This is a substantial shipment and Malka was reluctant to send it but did so to avoid tension with Jorum. Malka will offer any Sertori who go 2 acres of good farmland near Neoda, 20 cows and promise to make them highpriests (giving them considerable authority in Atroxan society). In addition he can offer them up to 6,000 silver worth of crafted goods upon their return. King Malka is willing to negotiate payment with Sertori who respond to his call. This is a living adventure. The NPCs do not simply stand around waiting for the players to act. The GM has a responsibility to run them as fully realized characters. For example, while we’ve anticipated the most likely actions of Chieftain Jorum, the GM should improvise should the players start doing unexpected things that interfere with his goals. NPCs can and should take initiative when it is in their interest to do so. The Heart of Atroxis can be run as a straightforward quest for the two crowns. Whether it is or is not is largely up to your players. They may accept Malka’s offer, go to the island, trek through the mountains to Jaree recovering the crowns, confront Jorum and return with the Crowns to present to Malka. That is a fairly simple and linear path the adventure could follow. 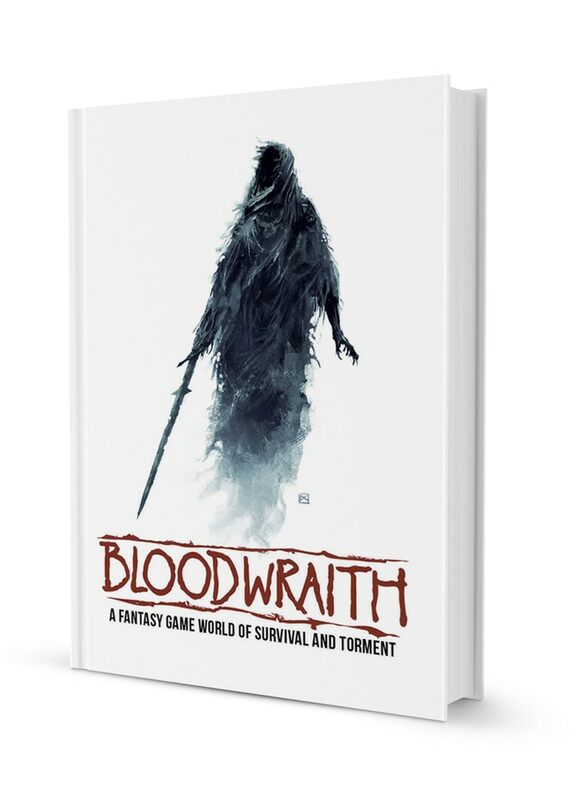 This will be sure to keep your players entertained for an evening or two and likely will include many encounters on the way to Jaree and within its halls. But The Heart of Atroxis offers much more for players who want to explore its hidden secrets. Characters can explore the island, forming alliances with tribes or slaughtering those who stand in their way. Anything is possible here and there is no preset path. Some groups might learn of Jorum’s treachery, think he is the man to follow, and work with him to unite the trolls and take the throne from Malka. Some groups might learn of Jorum’s treachery and work to thwart him. Or they could probe the mystery of the Calid Forest and seek a way to lay Jorum’s brother to rest (some might even start worshipping him). Others might have their own plans, working with local giant, kobold or troll tribes to achieve goals Jorum could only dream of. Still others may be entirely unconcerned with Jorum or his brother, choosing instead to explore Malkaelum for their own purposes. For example, in one of our playtests of the adventure, the party formed alliances with some of the settled Giant Tribes. Realizing these were potentially powerful soldiers for the king, they offered a chieftain and his people land in Atroxis if they pledged their loyalty to Malka. They were not authorized to do this, but assumed the king would see the benefits of their decision once they explained it and agree. While obtaining the crowns will be an enormous challenge, keeping them will also pose its own difficulties. The allied Giant Tribes regard them as relics of their people and will certainly try to reclaim them from the party. Jorum wants them for himself and will try to bribe or betray the players to get them. Without exceptional intervention on the part of the PCs, by the 40th day of the Adventure Timeline, the Radaka Alliance attacks the Atroxan fort Valcarna. How the player characters factor into this battle, if at all, is entirely up to them. To determine the outcome of the battle, use the ARMIES AND WAR rules on pages 186-188 in the SERTORIUS rulebook. Below we’ve calculated the Army Strength and Combat Rating of each side using this method. Valcarna is a hill fort, with three lines of earthen works and a tall wooden wall. These defenses give them a strong tactical advantage (a +2d10 rather than the normal +1d10). However the Giants have better morale. Both sides are favored by gods so these cancel out. The giants have a Sertori, also giving them an advantage. They also have worse equipment than the Orcs giving them a small disadvantage. If Sertori fight on the side of Valcarna raise their Combat Rating by +2d10. Keep in mind that while the giants only have 400 warriors, each of them counts as 5 normal men for the purposes of calculating the Army Strength. Should the players increase or decrease this amount, or add giant tribe allegiances to the side of Valcarna, assume each tribe can contribute 50% of its total population as warriors. This also applies to Trolls. If they manage to incorporate Kobolds and Kovars, treat 1 Kobold as half value of a normal warrior. For each Kobold or Korvar Tribe assume 50% warriors are available. Assume one large scale confrontation each day, making a single Combat Roll for both sides to determine casualties. If the player characters are present you should incorporate their actions into the this roll, possibly giving bonuses or penalties based on what they do. In addition you can play out the actual combat using miniatures and maps. Should Valcarna fall the most likely consequence is the death of Jorum and the Rakada acquisition of the Tablets of Kla-Handa. The remaining orcs will try to flee back across the sea, leaving any remaining Player Character few options for an easy return to Atroxis. This will also establish Chief Ghay’ib as an important player on the island. A defeat of the giants by the forces of Valcarna would shake the faith of the giants in Dura-Noor, requiring nearly another six months of effort by the forest Grim to recover his followers. It would also strengthen Jorum’s position, causing the Radaka alliance to crumble. This event is contingent on Jorum obtaining the Crowns from the PCs and surviving the adventure. Without the crowns Jorum can’t even command the Basi tribe. Having the crowns allows him to unite the Basi and Daethroni under his leadership. Whether the PCs are involved with Jorum at this point or not is up to them. He will of course attempt to recruit Sertori, but he is also wary of attracting them as enemies. Jorum’s plan is a fool’s mission, but that shouldn’t be immediately obvious to the players. He does command respect in his tribe and can get the Basi behind him if he has the crowns. He can rally The Daethroni as well. But he doesn’t have the support of Ozias so his men’s morale will be brief and he doesn’t have the numbers of Malka. Without extreme intervention on the part of the players he will fail and probably die in battle. Should the players help him build a more effective alliance (perhaps recruiting giants from the island) then he may have a chance and the GM should use the ARMIES AND WAR rules from pages 186-188 of the SERTORIUS RULEBOOK. Obviously anyone on the losing side will be sure to face the wrath of the winner. Keep Malka’s immortality in mind. Malka cannot die because Ozias keeps raising him. However, should Malka be dealt a conclusive defeat by Jorum, Ozias will surely withdraw his blessing (if only to retain the faith and loyalty of the tribes after the conflict). Additionally, should Jorum win, Ozias will secretly be furious. He will of course allow Jorum to succeed Malka, but he will be plotting a terrible fate for the chieftain who overthrew his chosen. Ozias would then reluctantly grant the gift of immortality to Jorum, which would secure his loyalty. Most likely Ozias would begin looking for a more promising leader to replace Jorum, with the intention of removing his immortality when the right opportunity presents itself. To gain such attention from Ozias, one would need to be truly exceptional but not necessarily a Sertori. Ozias rewards faith, obedience, intelligence and spirit. Performing some great deed for Atroxis at great personal risk is more likely to attract his attention than easily fending off thousands of men with magic. That said, his attention could turn to player character Sertori but only as a reward for selfless heroics. Ages ago, centuries before Nong Sai, there was a mighty giant culture on the island. They were the favored of Ramos and built up a great civilization that is now forgotten called Jaree. Jaree was an impressive culture, capable of creating vast stone structures of precisely cut limestone. They relied upon the labor of an underclass comprised of Pavalorgi. Though Jaree used bronze tools of good quality they lacked the wheel and relied heavily on the Pavalorgi for constructing buildings. As giants they also could use their enormous size and strength to their advantage, but their numbers were much smaller than those of the Pavalorgi. The giants of Jaree warred with local Troll tribes but always had the upper hand due to their greater intelligence. However the Slovars emerged on the continent and one of their western kings came across the sea and defeated the Giants, enslaving them. Ramos was ashamed of his creation. He pitied the giants enough and furious at the loss that he sent a deadly plague against the Slovar invaders, striking them in their homeland and causing the western kingdom to collapse. The plague decimated the Slovars occupying the island, leaving only a handful to flee into the mountains and plains as the giants tried to reclaim their cities. But Ramos could not shake his disappointment and cursed the giant tribes, making them less intelligent than the trolls. Civilization nearly collapsed on the island and gave way to war, with the Trolls acquiring the Helm of the Slovars from the remaining Slovar tribes, then using that to unite them against the giants under King Kla-Handa and retake all the cities. The Trolls restored the old kingdom for about two hundred years before famine once again led to collapse. Ramos was forgotten, remembered only as an angry demon who rains fire from the sky. While these events really did occur, the current inhabitants of the island no longer remember them clearly. They’ve each passed down tales of the history and shaped it to suit their individual aspirations and beliefs. All the people of the island share a sense that there was once a glorious past and they call this Jaree, but they usually attribute it to their own people and blame the fall as punishment from the gods. Because they kept the Tablets of Kla-Handa, the Sani have a better sense than anyone of the islands real history, but this too is muddled. The Slovars brought the Helm of the Slovars with them in their invasion. This was later acquired by the Troll kings who took over Jaree. The Crown Shadows was an ancient giant artifact, passed down from generation to generation. By the time of the troll kings, the custom became for the King to wear the Crown of Shadows and the Queen to wear the Helm of the Slovars. These stone tablets were created by King Kla-Handa and make clear that the Slovar invaders were orcs (it calls them tusk men) and that the Crown of the Slovars enables orcs to be controlled. It is written in Isfina script but has both Jameeli text and Shai-Fa text (the latter phonetically redered). These were formerly in the possession of the Sani, but Jorum and his warriors took them. Importantly, the Tablets say the crowns are buried in the ruins of Jaree. This section describes the social structures, alliances and cultural features of the tribes that live on the island. Religion and language are dealt with in their own sections below. The leadership of each group varies on the island, but usually groups are led by a chief or elders (or a combination of the two). One nearly uniform feature is the repeated use of the title ‘Kla’. This serves as a suffix or modifier and crosses all language barriers. Both the nomadic groups and tribes are quite hierarchical, with each individual member being above or below another (usually this is denoted by the number of tusks one wears). By far the most obvious and widespread group on the island is the Giants. They live along the rivers, in the Calid forest, the mountains and deep in the plains. The Giant Tribes are fairly diverse but can be divided into three basic groups: the mountain dwellers, the settled tribes and the nomadic tribes. Generally speaking, the settled tribes tend to be more peaceful than the nomadic tribes, and the mountain tribes are exceptionally hostile. There are exceptions of course. Most of the settled tribes live in small villages along the rivers. These usually consist of 10-20 families, with bigger villages having as many as 40-50 families. Villages are still tribal in nature and will vary in leadership structure (usually they are led by elders but sometimes they are led by a chief). The nomadic and mountain tribes are usually divided into smaller bands of 20-50 members. Bands are led by chieftains and the tribes by chiefs. Some tribes are led by elders as are many of the villages. The other major group is the Trolls. Trolls are more intelligent than giants but also more vicious. Trolls are active at night rather than the day like most of the other groups on the island and feed almost exclusively on humanoids. They will eat Giant meat when they have to, but hate doing so as it is considered distasteful and dangerous to procure. They much prefer Orcs, Kobolds and Korvars. They protect themselves during the day by turning to stone when exposed to sunlight. Trolls generally live in small bands of nomadic hunters, usually between 10-30 members. Occasionally they will settle if conditions are right, but due to their specific dietary requirements, it is easier for them to eat if they are on the move. They are almost uniformly led by a single chief called a Kla-Chun (male) or Gla-Shun (female). This literally means to be one who smashes. Any member of a troll tribe can challenge the current leader to combat. This will either be a barehanded match or a contest of throwing boulders. It is always to the death. If boulder throwing is employed both sides are expected to receive the others’ boulder hurl without moving or deflecting. Trolls are warlike and they live in the area where there are plentiful copper and tin deposits. They use this to make tools and weapons but also exploit it against the giants. How this is used varies by the immediate needs of the tribe. Sometimes they allow giants to take copper but only if they provide desired goods or food. Other times they ambush giants trying to extract copper so they can eat them. Trolls are known for their aggression and their deceptive nature. They all believe in the coming of a great troll who will rule the island once again and restore the glory of the past. This is called either the Kla-Handa (male) or Kla-Shan (female). The Kobolds and Korvars have the largest population on the island, but their size puts them at an extreme disadvantage. All three groups worship A‘ngabua and make offerings to Ice Demons, but the Korvars worship Baharalla as well. Kobolds and Korvars speak Slorus and are hunter-gatherers. While they avoid direct conflict with giants, both groups will occasionally sneak into giant settelements to steal food and supplies. They also do this to this to Orc camps. They are divided into the Sapidus (Kobolds) and the Bellaria (Korvars). These can be thought of as large tribal nations made up of much smaller clans. The tribes are united under a single monarch called a Kla-Resh and the clans are led by chiefs called Kla-Prama. The Kobolds and Korvars also hold song sacred and elevate those who can sing to the status of priest (called a Kla-Serja). There is only a small tribe of orcs called the Saevars. The Orcs are led by an elected Chief called a Kla-Jev.They live in the plains and are skilled hunters. They also trade with some of the giant settlements. They also fear the Kobolds and Korvars on the island, viewing them as having close contact with the gods. Orcs speak Pasaali. The Pavalorgi were once the slaves and laborers of Jaree. Now they live in isolated primitive bands of 10-40 members. Of all the groups on the island, the Pavalorgi are the least advanced. They dwell primarily in the mountains, feeding off the scraps left behind by giants and trolls. The Pavalorgi speak a hybrid tongue of Shai-Fa and Jameeli. They worship Ralom and believe he will one day destroy the giants and trolls to make the island a paradise for the Pavalorgi. They consider fire sacred but believe the fires of Dura-Noor are evil mockeries of Ralom’s. The Pavalorgi are led by clan chiefs who are constantly feuding with one another. The village is the largest community structure on the island and usually made up of between 10-50 families. Most homes in villages, particularly in the plains, are made of clusters of interconnected wide stone houses built into the earth. These barrow-houses usually have a central hearth, fueled by animal dung, seaweed, wood and peat (depending on what is available locally), and each cluster is tied together by kinship. Villages subsist by farming plants and raising livestock. None of the villages use beasts of burden, instead the people power the ploughs themselves (which thanks to their considerable size still yields good results). Some of the tribes are skilled at making metal tools and weapons, but they work with bronze. Other tribes make mainly stone weapons and tools. Copper and tin are not widely extracted however, so there is a poverty of raw materials, making such items rare. There are deposits and the giants know where to find them, but there isn’t any systematic mining. Villages also produce pottery, plows and other agrarian implements. While most trade is done through barter, they do value amber and sometimes use it as a form of currency. Clothing on the island is usually very basic, with the nomadic hunters wearing mainly hide and fur and the settled people using wool cloth in addition to these materials. Of note are the use of tusks. These are universal symbols of status within the group. They are usually worn in one of two ways: dangling from a strap wrapped around the hips (called a Waraq), or as the fitted to the top of the head to create a crown that gives the impression of having multiple horns (this is called a Rasgha). Typically Rasghas are reserved for leaders or priests (who usually also wear a Waraq). Generally the more tusks one has the greater ones standing in the tribe or village. 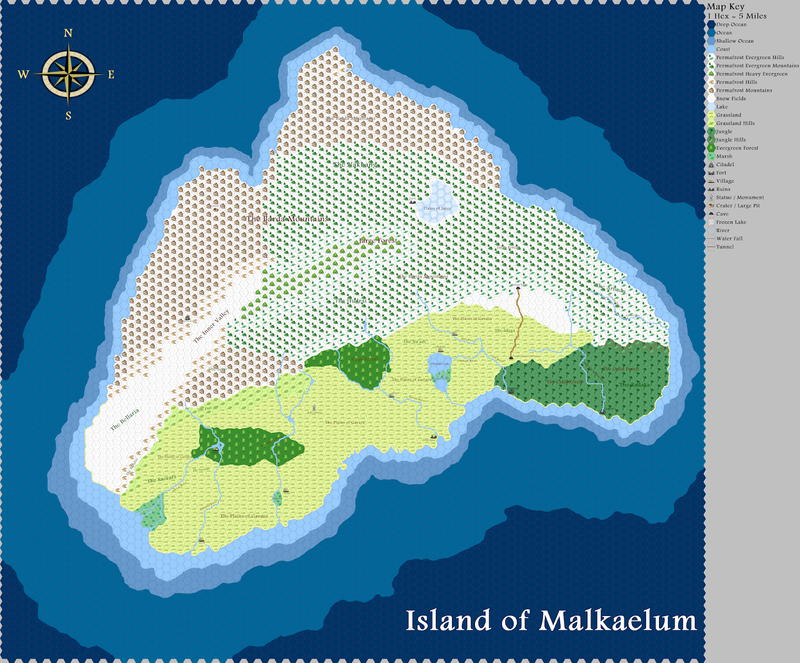 While the people of Malkaelum have few structures of note, the island did once house a mighty civilization and some of its ancient palaces, temples and cities remain as weathered husks of their former glory. These are of two main types: Jaree and Slovar. The Jaree structures are made of large and small precisely cut stone (usually limestone) and usually built on hills or mountains. Jaree is noted for its use of wide stone steps to make scaling mountain surfaces easier and its use of rectangular shaped buildings built around a sacred pillar. These pillars often have images of a great dragon carved into them. Slovar ruins are similar to those on mainland Gamandria except they are purely Western in design. They have the standard hallmarks of Slovar architecture: vast domes, circular buildings and enormous statues of beings with apelike features and tusks. Many of the structures on the island also seem to have a small pantheon of 5 female entities and one male (a humanoid with the head of a snake, a great elephant with wings and a rhinoceros horn instead of a trunk, a tall boar-like male humanoid with a thorny beard, a tall warrior maiden with a froglike head, a human-like woman with claws and a crown, a giant creature that has the upper body of an orc or kobold and the lower body of a phoenix). While the island no longer has cities or developed governments there are some informal alliances and agreements between tribal groups usually along racial lines. There are also a few direct alliances worth mentioning as well. The Radaka Alliance is a formal bond between the Idaya, Arbadu and Radaka against the Orcs from Atroxis. They are united by their worship of Dura-Noor. The Radaka have also secured good relations with the Ice Demons, who have agreed to raid Belcarna in exchange for loot after the attack on Valcarna. The alliance is the product of Chief Ghay’ib’s efforts and personality. Without him, it would fall apart. The Radaka Alliance was prompted after Jorum took the Tablets of Kla-Handa from Sani. While the alliance cares little for the Sani, they view attack and the theft as an insult. Jorum has formed agreements with the Kartai and Nasiqa. Both agreeing to help him achieve his goals in exchange for supplies from Atroxis (mainly Amber and iron weapons). Generally the Bellaria and Sapidus (the Korvars and Kobolds) are always in conflict. The Saevars deal with both but are wary of them. The Trolls are pretty divided, with the Kartai and Nakhang working together (the Kartai have the upper-hand in this relationship) against the Hudrai, Dab-Sin and Seyp. The latter three will trade and deal with one another but there is a good deal of mistrust. Trolls are not known for keeping their word. The giants acknowledge a number of deities on the island. Perhaps most venerated is Esh Gavara, but the Yorga are widely viewed as powerful gods, and everyone curses the evil sky lord Ralom. The emergence of Dura-Noor is recent. When someone has committed a great offense, it is customary to make offerings to Baharalla. Many myths and legends about the history of the island persist among the different tribes. While they do not know the specifics of the island’s history, they know bits and pieces and most believe that their own people once ruled over a mighty civilization. What that means can vary considerably. The trolls for example believe it means the enslavement of the giants and rule under a troll king. They also believe a figure will appear in the future who will restore troll-rule over the island. A‘ngabua: This is a might deity of the herd and plains, often depicted as a tall shaggy humanoid with Rhino-like features. The Kobolds, Korvars and Orcs on the island worship this entity. Though they speak two different languages both groups use this name for the god. A’ngabua is also worshipped by some giants, particularly the Na’adi tribe. This is actually Lorgo. Baharalla: This is a vast entity, the goddess of the waters who surround the island. The locals make no distinction between the goddess and her waters, to them she is one and the same. According to legend the island was once part of a larger land mass, but Baharalla coveted its treasures and encircled it commanding that none shall leave its shores. This is in fact Lurolai. Dura-Noor: God of fire worshipped by Arbadu, Radaka and the Sani. Of recent origin.this deity has no imagery associated with him. Dura-Noor has few teachings, he asks only that his will be followed and his followers carry flame with them, even during the day. Chief Ghay’ib claims to be the chosen of Dura-Noor and taken the title Kla-Nahri. Esh Gavara: This is a variation of Sul worshipped by some of the Giants. To the giants, Esh Gavara is the island itself. They believe Esh Gavara answers prayers for mercy and that he controls the flow of the rivers. Esh Gavara is usually depicted as a wide giant with the head of a boar clutching a gemstone. Father Elk: A creature worshiped by the Sabaqi giants of the Aq-la Forest. This giant elk has a red and white coat and is believed to have the power to curse or bless depending on its mood. See FATHER ELK in CHAPTER FIVE: NEW MONSTERS for more details. 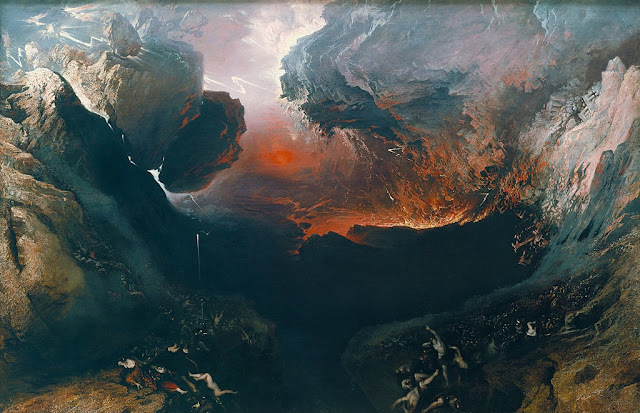 Ralom: An angry demon God believed who lives in the clouds and rains fire. The Giants believe he destroyed the mighty civilization that once existed on the island. Ralom is depicted as a fiery yellow dragon breathing flames. Trolls often worship Ralom. In actuality this is Ramos. Lom-Bezat: A Demon worshipped by the Kartai trolls. White Mammoth of Jaree: This powerful supernatural entity roams the ice near Jaree killing anything it comes across. The Arbadu believe it is the spirit of an ancient king. Yorga Worship: Many of the giants on the island worship the Ice Demons (Yorga) as well. They put out offerings of food or crafted goods in the hope of deterring attacks, sometimes praying to them to destroy their enemies (these prayers are occasionally heard). Below are the major languages of the Island. They are generally dialects of the standard Gamandrian languages. Regardless of language, all groups seem to use the word ‘Kla’ before or after titles of importance. In Shai-fa, there ‘Gla’ is used to indicate the feminine form. Slorus: This is a strange dialect of Latar that uses Pasaali script. It is spoken by the Kobold and Korvar tribes in the south. Important words: Kla-Resh (King), Kla-Prama (Chief). Kla-Serja (Priest). Jameeli: This is a dialect of Khubsi but uses its own wedge-shaped script called Isfina. However few giants can write this. Important words: Kla-Iqfa (one who leads by right of force), Kla-Umaak (to lead by right of bloodline), Kla-Qadama (one who leads through right of wisdom), Kla-Safara (one who is illuminated by the gods, a priest or priestess), Rasgha (a crown of tusks), Waraq (a girdle of tusks), Kla-Tarqa (the keeper of the past). Shai-fa: This is a dialect of Singh, spoken mainly by the troll tribes who live here. They employ a script called Shai-len. Important words: Kla-Chun (He who smashes, a kind of king or chief), Gla-Shun (she who smashes, same as Kla-Chun). Kla-Handa or Gla-Shan (he or she who rules the Island). The island is cold most of the year. Along the southern coast, temperatures reach 50 degrees Fahrenheit in the summer and drop to below freezing in the winter. Days in the summer are long, with nearly 20 hours of light. In the Mountains things become much colder year round, with a nearly perpetual layer of frost coating the surface. The temperatures here are below freezing the whole year. The coast receives plentiful rain in the summer and snow in the winter. The plains of Gavara are good for growing spinach, broccoli, carrots and potatoes. A bitter lichen called Esh’s Porridge is quite common and part of the local diet. Other lichens and mosses are also found on the island. Of note is Thunderbolt Moss, a bulky fungus that grows on trees in the few wetlands on the island, particularly those near Sa’aqa. It takes foul but provides almost as much energy as animal protein and grows in abundance. Trees mainly grow near the mountains and upon them. These include juniper and dwarf birch. However deeper in the mountains where the ice is thick are dark trees that resemble tall coniferous evergreens except their needles are black. According to legend, the sky demon Ralom created them with flame. There are a couple of forests in the plains, but these are both unusual. The first is the Aq-la forest, and is said to be the realm of a great elk god. While the other is a lichen-filled place where the trees are said to speak about the future and the past. This is called the Urqa Forest. On the Eastern Plains a far more mysterious flora has developed. Over just six short months a tropical jungle has emerged hot and humid, the The Calid Forest as it has been named. The Calid Forest is hot, and filled with dense vegetation. This stands in sharp contrast to the surrounding frost and ice. Some of the local animals and people have taken note, inhabiting it and clearing it to grow food. Common herd animals include Wooly Rhinos, Mammoths and Elk. Sheep and wild dogs are also common here. Rumors exist of snow-dwelling apes in the mountains. Off the coast there are plenty of whales and fish for hunting and harvesting. The rivers team Salmon and Char. Widely feared are the Ice Demons, who prey on both settled and nomadic groups for supplies and fresh food. An evergreen forest inhabited by large numbers of elk and boar. The Giant village of Sabaq is also found in here and their hunters are often found in the woods. Forest dwelling Giants known for hunting elk and fighting trolls. They worship Dura-Noor but also have some residual belief in Esh Gavara and the other gods. They also revere a creature called the White Mammoth of Jaree, which they believe is the spirit of an ancient Giant King. The Arbadu are allied with Radaka. There are about 189 Arbadu and they are divided into roughly 9 bands of 20 members each. There are two outposts, Valcarna (1) and Belcarna (2). They have a total of 1,800 men between them with 1,000 at Valcarna and 800 at Belcarna. Each outpost is built on a hill with a wooden wall encircling round wooden barracks and supply rooms. These buildings form a circle around a central one where the chief resides. Roaming bands of Korvars who are food for the death trolls but good at evading them. Means desert. The Bellaria view the Sepidas as encroachers on their territory and want to eliminate them. They worship A‘ngabua, make offerings to the Ice Demons (Yorga) and also worship Barhalla. Above all, even more than the trolls, The Bellaria fear an entity they call Boar King. This is actually more than one creature, though they believe otherwise. There is a herd of giant Boars living in the Inner Valley who occasionally venture into Bellaria territory to feed. See BOAR KINGS in CHAPTER FIVE for more information. There are a large number of Bellaria on the island, nearly 1,135 in total. These are divided into nearly 40 bands organized around the clan. The bands are led by individual chiefs called Kla-Prama. But these chiefs swear allegiance to a king called the Kla-Resh. The current Kla-Resh of the Bellaria is Urvo. This position is elected by the Kla-Prama. Note: See KORVAR Entry on page 390 of the SERTORIUS rulebook for more information. This tropical forest appeared suddenly about six month ago and grew from a small cluster of trees to a dense forest that stretches nearly 100 miles. It is striking in that the surrounding area is cold and but inside the forest is tropical. While it didn’t bring any new animal life, many of the animals and people on the island have gravitated to it since it appeared. Trees here are tall and form a canopy that looms 30 meters high. There are many trees that exceed this canopy, growing twice that height. The floor is overgrown with fungi and carnivorous plants. There are a number of dangerous plantforms here, including the Feasting Lily and the Flaming Heartvine. See FEASTING LILY and FLAMING HEARTVINE in CHAPTER FIVE: NEW MONSTERS for details. The forest is a Grim, caused when Janus died trying to fend off Jorum’s soldiers. He turned into a being called Dura-Noor, a shapeless entity that can manifest in flame and speak words of power. See DURA-NOOR in CHAPTER FOUR: CHARACTERS for more details. Traveling through the Calid Forest is a TN 9 Wilderness Survival Roll. Called “The Hiders” by kobolds. These are Trolls who live in the foothills south of The Seyp. They are stealthy and set traps for their prey. They like to eat both Kobolds and Korvars but will settle for orcs if they must. They are wary of the Seyp and Hudrai but will deal with them on occasion. The Dab-Sin worship Ralom and Esh Gavara. They consider Ralom a god of the sun and particular prize anything that resembles its light (amber, gold, etc). The Dab-Sin look different from other trolls on the Island and they attribute this to an ancient pact with Ralom when the island was being overrun with Orcs, Kobolds and Korvars. They promised the sun god to devour them in large numbers. For this Ralom improved their ability to blend with their environment so they could catch and eat more of the green skinned races. Their skin changed hue to reflect their surroundings. They are also naturally more stealthy than normal trolls. While all trolls eat such creatures, The Dab-Sin gorge themselves and view it as a sacred act. 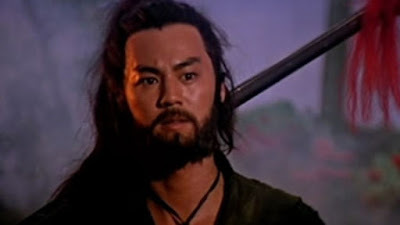 The Dab-Sin occasionally work with the Hudrai and Seyp as it suits them due to a mutual fear of the Kartai and Nakhang. They could be persuaded to ally with those who would help them fight the latter two tribes. The Dab-Sin number roughly 90 members. They are divided into about 4 bands. They are led by a chieftain called a Gla-Shun. The current Gla-Shun is a female troll named Ratay. Powers: Stone Sleep, Blend (at will and when still they can blend with environment gaining a 9 Stealth). A massive tunnel burrowed into the ice. A demon named Lom-Bezat is said to dwell here. A large settlement of 50 giant families who fish from the nearby lake and are subject to raids from the Na’adi. The Dhahabi have heard of Dura-Noor and have incorporated the deity into their worship of all the others on the island. The Dhahabi take no chances, offering sacrifices to each god every month. Though known for their fishing skill, the Dhahabi are adept at crafting tools. The Giants of Dhahabi fear the gods and therefore trust their leadership to a priest called the Kla-Safara. The present leader of Dhahabi is Simhaqus. This position is chosen at birth under auspicious signs by the current Kla-Safara. The Dhahabi trade with Sani and Nasiqa. They live by fishing and horticulture, growing root vegetables and raising livestock (mainly sheep). They are also skilled at crafting with wood and stone. An enormous statue made of red rock. It is over 100 meters tall and looks like a giant with a face that resembles boar. He holds a giant black spear made of Onyx in one hand and round stone half the size of his head in the other. It was built by the Slovar invaders after their conquest and was an image of Lorgo, but the locals now believe it is their god Esh Gavara. This site is sacred to many of the local giant tribes who often leave offerings at the base the of statue. In reality Esh Gavara is Sul. He has taken an interest in the people of the island and there is truth in the giants’ belief that Esh Gavara answers prayers for mercy. Anyone brought to the statue with life threatening injuries can be fully healed if a Ritual Roll TN 8 is made to Sul or Esh Gavara (they are the same individual but the rituals are different). On a Total Success Esh Gavara can restore life to the dead. Esh Gavara only performs this once for each individual (and each ritual attempt can only be for one person at a time). Of course the person brought here must be deemed worthy by Sul (who favors those who show compassion or have a spark of mercy in their soul). These include The Arbadu, The Radaka, Sa’aqa, Sani, Nasiqa and The Idaya. See individual entries for details. Giants speak a form of Khubsi called Jameeli. The Hudrai are fierce trolls who feed on giants and wear their skin and bones as a measure of status in the tribe. They resorted to eating giants due to scarcity of kobolds and korvars in the area but have come to believe the act has sacred significance. The Hudrai are enemies of the Na’adi (who alone among the giants do not fear them), the Nakhang and Kartai. Enemies of the Na’adi. They are wary of the Dab-sin and Seyp but will deal with them on occasion. The Hudrai worship Ralom, who they believe is a great fire breathing condor. They believe that eating giants makes Ralom grow in size. There are 144 Hudrai and they are divided into about 8 small bands. They are united under a single hereditary leader called a Kla-Umaak. The current Kla-Umaak is Run-Lai. Ice Demons live below the surface of the island and are feared by many of the tribes. Some tribes even worship them leave offerings of crafted goods or food to keep the Ice Demons away. The Ice Demons have a temporary alliance with the Rakada with the promise of loot from the two Atroxan outposts. After day 8 on the timeline, they sack Belcarna (the second Atroxan outpost) at the instigation of Chief Ghay’ib, t and stole equipment plus lots of Iron and Amber. Stole Ivory statue of Ozias. Heavily trapped dungeon. Witnesses attest to how trapped. Warriors carried off. Giants who inhabit the Calid forest and worship Janus. Allied with the Rakada. They trade with Sani. There are roughly 260 members of the tribe, divided into 14 bands. Ruin and former capital of a great giant civilization. On the 20th day of the Adventure timeline, 10 Giants sent by Chief Ghay’ib arrive to protect Jaree from intruders. Sometimes called Death Trolls. Can drain life with claws. Demon worshipping trolls. Worship Demon Lom-Bezat. They have demon’s absorbing ability and they use it to modify themselves for prestige. The demon wants Sertori. Have allied with Jorum. Allied with the Nakhang. Despise the Hudrai, Dab-Sin and Seyp. There are only 50 Kartai. This includes the Sapidus and the Bellaria. See individual entries for details. Nomadic Giant tribe that hunts mammoth and rhino, moving with the herds. They also hunt Ice Demons and do not fear them. The Na’adi acknowledge the main gods of the Island, in particular they revere A‘ngabua and Baharalla. The former they pray to before the hunt. The Na’adi are careful not to over hunt and treat each kill as an offering to their gods. The Na’adi also revere the spirits of the Urqa forest and occasionally venture there to Divine the future (believing that the trees answer questions posed to them with sufficient respect). They are led by a high priestess, called the Kla-Safara, who is always the oldest female in the tribe. Smaller units of the tribe are led by other priestesses who have proven themselves in the hunt. The current leader of the Na’adi is High Priestess Tarsiya. The Na’adi are concerned about the growing power of the Radaka and they also have abundant dislike of trolls. They are friendly with the Nasiqa and enemies of the Hudrai. In times of scarcity they raid the Sani who seem to have an over-abundance of food. Occassionally they raid Dhahabi for supplies and its fish. Occassionally they come into conflict with The Ra’afa when the two tribes are after the same herd. There are 120 Na’adi divided into 4 bands. A tribe of Trolls who live in the wastes and are loyal to the Kartai. A settlement of Giants. Nasiqa are convinced their people committed a terrible offense generations ago. They once lived by the sea but claim to have been exiled by the sea Godess Baharalla. To atone they sacrifice a child once every two years to the Goddess and burn incense to mark the occasion. The Nasiqa trade often with the Na’adi and with Dhahabi. They trade on occasion with Sa’aqa as well. Nasiqa are led by a council of male elders each holding the title Kla-Qadama. There are 15 families in Nasiqa. This includes the Saevars. The orcs arrived when the Slovars invaded. Qresh is a large village of Giants and Orcs. Both groups speak Jameeli and have lived together for centuries. Of all the people on the island, the Qreshi are the most advanced with a better understanding of agriculture than the other Giant or Orc tribes. They use plows, beasts of burden and crop rotation to grow barley, carrots, spinach and potatoes. They also harvest the bitter lichen, Esh’s Porridge. The people of Qresh worship Baharalla whom they view as the consort of Ralom. According to Qreshi legend the island was a product of a union between Ralom and Baharalla. Giants, Orcs and other humanoids were later created by them as well. Baharalla looked upon their children with love, but Ralom tried to eat them and the Sea Goddess hurled Ralom up into the sky where he remains to this day. The Qreshi adore Baharalla and fear the return of Ralom (which they believe will happen if they do not help keep Baharalla strong with sacrifices of land mammals). The Qresh are led by a council of 5 elders who are invariably Orcs. These are called the Kla-Qadami. Qresh has 18 Giant families and 40 Orc families. The Radaka are hunters and warriors, who are presently semi-nomadic. They camp for extended periods before moving on. In the past this wasn’t the case but every since they started worshipping Dura-Noor, their leader, Chief Ghay’ib has spoken of settling and encouraged them to do so in stages. He also also taken interest in nearby copper deposits, telling his men they are holy to the tribe. The Radaka are allied with Idaya and the Arbadu. They also have recently formed a tense alliance with the Ice Demons. This alliances are all to achieve the aim of regaining the Tablets of Kla-Handa from the Atroxan invaders. They intend to attack the Atroxan outposts 40 days after the players arrive. There are 160 Radaka, divided into 8 bands. They are led by Chief Ghay’ib, a Sertori who has assumed the title Kla-Nahri. He speaks with Dura-Noor regularly in the flames and claims the giants must regain the tablets of Kla-Handa. The Ra’afa are a tribe of Giants and Orcs, who speak khubsi and worship Esh Gavara. They are hunters but live in a tiered society. The orcs gather fruit, supplies, plants, herbs and other useful resources while the giants hunt and fight. They come into frequent conflict with the Na’adi over herds and other food sources. The Ra’afa roam widely along the coastal plains, between the Sa’aqa and Sani rivers. There are 120 Giants in the Ra’afa Tribe and 330 Orcs. These are divided into nearly 25 bands. A settlement of 30 giant families who worship Esh Gavara and excel at harvesting thunderbolt moss from the surrounding wetlands. Even more than other giants, Sa’aqa despise trolls. The Sa’aqa are skilled weapon-makers as well. They trade with the Saevars and occasionally with the Nasiqa. Sometimes they help protect the Saevars from The Dab-sin. Every four months, Sa’aqa selects a group of warriors to go retrieve adequate supplies of tin and copper. These missions are considered dangerous and those who return gain great standing in the community. An isolated forest village of giants who live by hunting local game, gathering in the woods, fishing and planting root vegetables and greens. They speak Slorus and worship an entity they call Father Elk, a massive bull that resembles a moose with a red and white coat. They believe that Father Elk despises bloodshed and avoid hunting when they believe him present. They also pray for Father Elk’s forgiveness after each kill and promise to help the next animal they encounter. The Sabaq are hunters but feel a pang of guilt with each kill. They only take what they need and they make a point of treating other creatures they encounter well (often helping them when they are hurt or wounded). They extend this compassion to humanoids as well and those who encounter them will find their gentleness refreshing on an otherwise savage island. Sabaq is a village of 45 families who live in wooden huts, led by a priestess called The Gurna. The Gurna may only ever eat plants and fruits, not even insects or fish are permitted in her diet. A Gurna who violates this law is cast out from the village. Though they speak Slorus, their sacred language is Jameeli and most members of the community know a few words. The town name itself is an old Jameeli word whose meaning has been lost with time. These are a small tribe of orcs. They do not realize they are descendants of the Slovar invaders. Orcs Worship A‘ngabua and leave offerings for Ice Demons (Yorga). The Saevar’s are skilled hunters and trackers, but small in number. They speak Pasaali. They are wary of the Sepidas but trade with them on occasion. It can be said that the Saevars fear Kobolds and Korvars, even when they are not outnumbered by them. They both groups know how to communicate with the gods through song and this terrifies them. Therefore they have a strong taboo against shedding Kobold or Korvar blood. They will do so if they must, but will immediately make a pilgrimage to Esh Gavara (who they believe is A’ngabua) to seek mercy from their god. They are friendly with Sa’aqa and trade with them. The Saevars have an elected chief called a Kla-Jev. The current Kla-Jev of the Saevars is Am-Sheghesh. The Saevars are a little over 400 in numbers, divided into 17 bands. A settlement of Giants. Crafters who respect and venerate the Yorga (Ice Demons). They also worship Dura-Noor. Skilled weavers and planters, they harvest a wide range of vegetables and leafy greens like spinach. Led by a small council of three elder women, the Sani are not warlike and fear the Na’adi who raid them frequently. The elders can be convinced to join against the Radaka Alliance if they are presented with strong evidence suggesting an Atroxan victory is likely. If promised the Tablets of Kla-Handa they will likely help as well. They trade with Dhahabi and with the Idaya. They prized the Tablets of Kla-Handa because they believe the tablets reveal the true history of the island and therefore are helpful in predicting future actions. Traditionally the tablets are watched over by the Kla-Tarqa.The Kla-Tarqa knows how to read the tablets and understands their meaning, but he must keep it secret and only pass it down to the next Kla-Tarqa. He is only permitted to hint at the tablet’s contents to the people when they have questions about the wisdom of future decisions. Only the Kla-Tarqa and the individual training to be the next Kla-Tarqa know how to read Isfina. This makes protecting the Kla-Tarqa a priority. According to oral legend, the knowledge of Isfina was once lost by the Sani for a generation, but a member of the tribe named ‘Ajabat went journeyed to Jaree and learned to read it. The current Kla-Tarqa betrayed the Sani after the massacre, going to work with Jorum and help him understand the tablet. His apprentice, Nungal remains with the village and looks forward to the regaining the tablets. The Sani are small in number now. They once had 45 families in the village but only have 14 after Jorum almost wiped them out in an effort to get the Tablets of Kla-Handa. This was once a sacred relic of the past that the Sani kept watch and care for. Jorum came in with thousands of men and slaughtered them. They are now distrustful of Orcs. Roaming kobold bands food for death trolls. Means savory. They are wary of the Saevars, and will trade with them, in order to steal from and take advantage of them. The Sepidas and the Bellaria are constantly coming into conflict over resources. The Sapidus worship A‘ngabua and make offerings to the Ice Demons (Yorga). There are 485 members of the Sapidus, divided into 12 clans. Called “The Eaters” by the kobolds. This troll tribe eats kobolds and korvars and lives in the mountains. They are wary of the Hudrai and Dab-sin but will deal with them on occasion. There are 50 Seyp on the Island. These include the Kartai, The Seyp, the Dab-Sin, the hudrai and the Nakhang. See individual entries for details. This evergreen forest is layered in fungi and lichens. The trees are literally draped and coated in these orange and blue growths. Beyond that the woods here are said to speak to those who will listen. Characters making Divination attempts in the forest will sometimes find their questions answered with a single ominous word (Divination TN 9). Typically only questions about the future or past are answered. Encounters: Roll Survival once every hour TN 7 (Mountain/Hill for Surrounding area and Underground for inside Jaree ruins) for an encounter and use the following table for encounters in the area in and around Jaree. Note that the Atroxan Zombies are all standard zombies but there are 75 in total in the area. 20 The White Mammoth of Jaree (use Lorgo’s White Mammoths, page 364 Sertorius Rulebook): This is a White Mammoth of Lorgo left behind from the age of the Slovar Invasion, he has gone insane and attacks anything in the area). This contains a crucial object that can help the players navigate the tombs safely: The Tusk of Jaree. This large mammoth or elephant tusk is carved into a woodwind instrument with five holes. It is quite easy to play for anyone who has a Talent skill devoted to a woodwind instrument (TN 6). Successfully playing the Tusk continuously creates a warm amber glow in a ten foot globe around the user, partially protecting him and anyone else inside from the draining effect of the tomb. Chief Abilom: This is one of Chief Abidan’s many sons. He is not particularly well liked in the broader tribe and known for being both stubborn and dull. However to gain favor with Abidan, Jorum brought Abilom and his men with him to the island. Abilom has 800 tribesmen who follow his commands. These men are loyal to him. Danihel is Malka’s chief adviser. In Life he was Janus, nephew of Chief Abidan and brother of Chief Jorum. Murdered by Janus and became a Grim that is now the Calid Forest. See CHAPTER SEVEN: NEW GRIM for further information on Dura-Noor. Gaia: Granddaughter of Malka and Gaecilia. Headstrong, out to prove herself. Possesses the Heart of Atroxis. No body recovered. Now has no physical presence, but can manifest in any flame and see through any flame. Has become a local “god” of compassion among some Giant Tribes. Spreading a tropical forest effect in area. This is the leader of the Rakada and also a Sertori. Ghay’ib has built a strong alliance with the Idaya and Arbadu. He also formed an agreement with the Ice Demons, offering them loot from the Atroxan outposts if they launch an initial raid as a distraction. Ghurad: A Giant from Sani who works for Jorum under the threat of his village being wiped out. He was the Kla-Tarqa of the tribe, the keeper of the Tablets of Kla-Handa. Jorum is a Chieftain in the Basi Tribe and a nephew of Chief Abidan. He was sent here by the leader of the Basi at the direction of King Malka to oversee efforts to extract powerful artifacts from ancient ruins. He killed his brother Janus partly due to jealousy and partly due to Janus’ interference with his efforts on the island. Jorum wants the Helm of the Slovars for himself and intends to use it to become king of Atroxis. He has allied with the Kartai toward that end. He also employs the assistance of Ghurad, a giant who can read Infa script and Timos a Verani Scholar. Jorum grew up in the shadow of his brother, Janus, who was a Sertori. Though there was love between them, Jorum’s jealousy increased with time. Janus took pity on his brother and tried to help his brother with his Sertori powers as he took on more responsibility in the tribe, but this only increased Jorum’s envy. Jorum once found a bronze trident by the shore when he was 10. He took this as a sign from Ozias that he was destined to lead. He carries the trident to this day and wields it in combat. This is an important event in his life, one that helped fuel negative feelings toward his brother. Once they were on the Island, Jorum was merciless in his approach. He saw this as his opportunity to prove himself to Malka. But when he discovered the nature of what lay beneath the ruins of Jaree, Jorum believed he could obtain these and use them to proclaim himself king of Atroxis. Eager for the crowns, Jorum slaughtered the village of Sani in order to gain the Tablets of Kla-Handa. This infuriated Janus and led to fight between the brothers. Fed up, but also fearful that Janus may take the crowns for himself, he had his soldiers ambush and kill Janus (no easy feat). Jorum’s future is very uncertain. With the Crowns he has a slim chance of success. Without them he is doomed. Timos: A Verani Orc, who is exceptionally knowledgeable of Caelum and of the Slovars. He is well travelled and speaks Singh, Latar, Khubsi and knows about Slovar artifacts. These giant boars roam the region of the Inner Valley. Their fur is shaggy and white and their long tusks make them deadly foes. They prefer to eat Korvar and Kobold but will settle for other animals. Charge: When charging Boar Kings do one automatic wound in addition to normal damage on a successful attack roll. Beast Strength (x4): Boar Kings are very powerful and their base lift is multiplied by 4. They can also exceed capping limits on damage rolls. Father Elk is a large bull Elk with a red and white coat. This is a creature of extremes. When placid his large black eyes are filled with compassion and endless peace, but when provoked he opens his mouth to reveal rows of razor sharp teeth and a murderous gaze. Father Elk loves all living things, particularly animals, but grows furious with rage at the spilling of blood. He roams the Aq-la Forest where is worshipped as a god by the local giants. Bite of Tranquility: The bite of Father Elk injects a tooth into the victim on a Total Success. This lodges deep in the body and fills the target with a sense of compassion for all living things. While the tooth remains in the body, should the person inflict a wound on another being, it rends that person from the inside causing 2 wounds for every one inflicted. The tooth can be surgically removed on a TN 8 Medicine Skill roll but a failure causes 2 wounds. Beast Strength (x2): Father Elk is quite strong and his base lift doubles as a result. He can also exceed capping limits on damage rolls due to his size and strength. Boundless Joy/Endless Despair: With its gaze Father Elk can communicate a sense of endless joy or despair to those who come across it. Which it projects depends on whether the target has killed in the last 24 hours or not. Those who have not it makes joyful, those who have killed it makes despair. Roll 2d10 against the Target’s Resolve, on a Success the victim is filled with ether extreme joy and happiness or agonizing sorrow for 1 hour. This has no real mechanical effect but will influence behavior indirectly. Earth Spawn: Each round Father Elk can create a minion shaped magically from nearby earth and stone. This can serve as his eyes and ears but also attack his foes. He only creates one when frightened and once created the entity remains for four hours before crumbling to dust. Earth Spawn always take the shape of the last thing Father Elk has seen (in a battle this is usually whatever he is fighting) but it is a crude and awkward imitation of the real thing. Each Earth Spawn has 1d10 in all skills, 4s in all Defenses and two wounds. Affliction: Whenever Father Elk passes another living creature (within 40 feet) he also passes judgment on it. He can instantly sense its immediate history. Those that have shed blood in the past 24 hours it curses, those who have shed no blood in the past 24 hours it blesses. This is either a -2d10 penalty to all skill rolls for a day or a +2d10 bonus to all skill rolls for a day. Those affected can feel a loving radiance within them if a blessing or a churning doubt if a curse. Some of the plants growing on the island are dangerous, even sentient. Unless otherwise stated, plants are rooted to soil or trees and cannot move. Feasting Lilies look like large white lilies, about the size of a man. Their green stems are the size of tree trunks and quite long (they are about 20 feet tall). They grow in clusters and tend to conceal their bulbs amid the trees. When humanoids giant sized or smaller pass by, they reach down and open their bloom to reveal an urn-shaped jaw filled with serrated teeth. Their mouths clamp down on the victim’s head and they work to decapitate their prey. Decapitate: If the Feasting Lily delivers enough damage to incapacitate the target, that target is decapitated. Reach: Though a Feasting Lily cannot move, it can reach as far as 15 feet from its roots. These look like small heartwine flowers with soft white petals surrounding a bloom of bright orange corollas. When agitated they discharge a flaming red goo that sears and adheres to flesh. The Flaming Heartvine live to serve Dura-Noor. They are filled only with piety toward their god and attack anyone he feels is an intruder. Flame: The flame shoots in a line up to ten feet and anyone struck is coated in the searing fluid, which does 4d10 fire damage, but because it clings it also is treated as catching the target on fire (no Total Success is required). This is actually a piece of iron breastplate, fitted with a piece of oval amber in the center shaped like the face of Ozias. Granted to Malka by the lich god himself, when worn it imbues the wearer with rejuvenating magic. Anyone wearing The Heart of Atroxis regenerates 1 wound a round. The armor also affords a +3 Hardiness Bonus (instead of the normal +2). Only works on Orcs of Malka’s bloodline. Two giant tablets made of limestone carved with Isfina Script but is written in both Shai-Fa and Jameeli phonetically. After the fall of Jaree they came into the possession of Giants, eventually of the Sani. In the days before we were blessed the men without claws ruled from a great city upon the mountain two days from the inner valley called Jaree. In the days before we were blessed the un-clawed were our betters in mind and spirit. They could count the numbers and use them to build their cities. In the days before we were blessed we fought the un-clawed again, and again. We could not defeat them. But then the Tusk Men came from across the sea and their Kla-Handa, Zhavash, drank the blood of the un-clawed and enslaved them. He ripped Mugatta’ by his un-clawed limbs and squashed his head. We were in admiration of the Tusk Men but also feared them, for they were many and we were few. Then a plague. The Tusk Men dwindled and retreated across the sea. The un-clawed lost the blessing of Ralom and forgot how to count the numbers. We were blessed by Ralom and I chosen to lead. In the days of the blessing I united with the Tusk Men who remained and took Jaree. Behold the glory of our people, twice the glory of the un-clawed with the crowns of two kingdoms. The Crown of the Tusk Men and the Crown of the blessed men shall be always upon the heads of Kla-Handa and his Gla-Shan in Jaree. The Calid Forest is a Grim and at its heart is Dura-Noor, a former Sertori who overused his magic while fending off an ambush set by his brother Jorum. The forest appeared six months ago in the cold plains of Malkaelum and spread as the local giants began worshipping Dura-Noor. Dura-Noor can manifest in flame and can control the foliage of the Calid Forest. He desires revenge for his murder. Before six months ago the area around the eastern coast was just plains with perhaps a few short trees here or there. At that time chief Jorum and his brother Janus were busy obtaining information from the local giant tribes. Janus had developed a soft approach, using his magic and wits to secure peaceful relationships with local tribes in order to learn about its past and to discover the secrets of Jaree. Chief Jorum was impatient and when he learned about the Tablets of Kla-Handa being kept by the Sani he used forced to get them, slaughtering many Sani in the process and infuriating Janus. Still Janus was loyal to his tribe and his brother and after a long night of intense discussion agreed to go to Jaree to retrieve the two crowns. However Jorum worried his brother might take the crowns for himself, so he instructed the 100 warriors accompanying Janus to kill him. They tried to spear Janus in the back and he used Avalanche of Flame, killing nearly a quarter of them. Over the course of the battle he overused his magic and turned into a Grim, which Jorum’s men mistook for death. Janus awakened the next morning, his physical form gone. He was a mind inhabiting the land and desired revenge, but also felt an affinity for the giants in the area. His memories returned slowly as the giants started to worship the fire his thoughts produced. He gave them the gift of intelligence and instructed them to take back the Tablets of Kla-Handa. As his power grew, a hot tropical forest spread in the region under Janus influence. The giants had started calling him Dura-Noor, and he liked the title. The Calid Forest is hot and dense with vegetation. This makes it unusual since the island is cold the whole year. Though it is alive with trees, fruit, nuts, spices and fungi, it is an oddly quiet place. Even for the giants and animals who have adopted it as their home, it is new and mysterious. Anyone making their Wilderness Survival skill roll can sense this. The rhythm and natural order here feels hesitant and unnatural. Many small rodents came here after it first appeared (mice, rats, chipmunks, etc). They came for the abundance of plantlife and were followed by predators like wolves, owls, and hawks. At the edge of the forest mammoths and wooly rhinos come to graze and which has benefited local Giant tribes already living in the area. Among the giants, the Radaka and Idaya dwell here comfortably in wandering bands. Ice Demons are also not unheard of. There are many dangerous plants in the forest including a carnivorous species called Feasting Lilies and another called Flaming Heartvine (both are described in CHAPTER FIVE: NEW MONSTERS). At the heart of the Grim is Dura-Noor. In life he was Janus, the brother of Chieftain Jorum, and nephew of Chief Abidan. Now he is Dura-Noor, a powerful entity confined to the Calid Forest on the Island of Atroxis. Dura-Noor is without physical form but can manifest through flame as a voice. While he has no body, Dura-Noor’s senses are limited. He can only see through the flames that exist in the Forest. He therefore asks his followers to keep flames at all times. He also has gifted his followers with intelligence and in exchange asked they heed his word. He chose Chief Ghay’ib of the Radaka tribe as his representative, instructing him to unite the tribes and retake the Tablets of Kla-Handa. Dura-Noor has roughly 1000 followers on the island. Most of these are members of the Radaka alliance, with Chief Ghay’ib being his favored believer. Flame Manifestation: Dura-Noor can see and hear through any fire within the Calid and speak through any fire on the island. Combust: Dura-Noor can cause one person per round to burst into flames taking 4d10 Fire Damage. This is how his Immolation spell functions now. him, an improvement to Wits by +3. Forest: The trees and plants of the Calid Forest answer to Dura-Noor. He commands them. He can also cause them to grow rapidly, entangling his enemies as chosen. He can only concentrate on a 100 foot by 100 foot area at a time. When he does so, make a 3d10 roll against the targets’ Parry scores of everyone in the affected area. Anyone struck becomes entwined (treat as restrained) requiring a TN 8 Muscle Roll to escape (or requiring 3 wounds from normal attacks). Dura-Noor can be laid to rest by allowing one his flames to consume the body of Chief Jorum. Tribal Chiefs are political leaders but also regarded as priests of Ozias. These are the chiefs given the second death. High Priests: This is a new class made up only of Sertori. They are often given the second death as a gift as well. Chieftains are the leaders of individual smaller warrior bands, families or other units within the tribe. Speakers: These are poets and historians who know the history of their tribe, its poems, song and many can read script as well. Elders: These are the oldest and wisest members of the tribe, they also usually serve as village headmen and act in similar leadership capacities at the local level. In rare cases they can overrule a chief. Atroxans are pretty tolerant of different social customs and practices, but in the last forty to fifty years they have grown adamant in their loyalty to Ozias and look unfavorably upon other faiths. They won’t mind occasional devotions by outsiders to other deities but they do expect everyone to acknowledge the supremacy of Ozias and have faith in his eventual victory over the other gods. Sertori from other lands would be wise to downplay their own beliefs and avoid contradicting Atroxan assumptions about religion. While Ozias is a lich and a death god of sorts, the people of Atroxis view him as a granter of life. They make no distinction between undeath and resurrection, to them it is simply a matter of quality. Those granted the second death, who come back to life after falling in battle are blessed. People raised as zombies, ghouls and other undead entities are also blessed in their view. There is no clear system of organized thought around this but generally speaking lower forms of undead like zombies would be regarded as a minor blessing, full restoration to life as exceptional, and being brought back as a higher form of undead, such as a ghoul or marghast, means one has been hand selected by Ozias for special favor. It is important to remember, Atroxans view Ozias as a god of war, but also a god of mercy and life. To them the prospect of returning from the dead as a reward is a powerful source of hope. To outsiders this may appear macabre or creepy, to those living within Atroxan society, it is normal.